What Sort of Liability Insurance Does One Need for a Sole Proprietorship? Sole proprietors may need product liability insurance. 1. What Is the Purpose of Third-Party Insurance? 3. What Are the Fundamentals Needed in a Homeowners Insurance Policy? Owners of sole proprietorships are personally liable for damages or injuries caused by their business operations. When they are sued, both their business assets and their personal assets are at risk. If you operate as a sole proprietorship, you can reduce the risk of losing your house and savings by purchasing liability insurance. Depending on the kind of operations you carry out, you need one or more of the types of liability insurance available. All businesses need general liability insurance. This type of insurance covers bodily injuries to third parties and property damage when caused by you or your employees. It protects sole proprietors even when they work from home. Your home insurance doesn't cover liability from your business operations. If a customer or delivery person suffers injuries on your property, general liability insurance for businesses covers defending you in court and pays any damages that the courts award. If you manufacture products for sale to the public, you may need product liability insurance. Sometimes products malfunction in unexpected ways and injure customers or third parties. 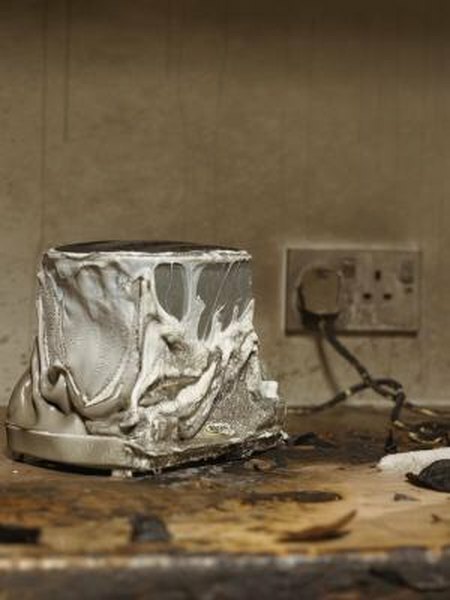 Common product hazards are electrical products that shock or catch fire, food products that are contaminated, mechanical products that have sharp edges or pieces that break off, and medical products that have side effects. Product liability covers you for damage claims resulting from your products. If your sole proprietorship provides professional services, you may need professional liability insurance. Professionals such as accountants, consultants, engineers or lawyers provide services but may make mistakes or forget to take necessary actions. If a customer suffers damages because of such failure to properly carry out the work, he may claim compensation from your sole proprietorship. Professional liability insurance covers such claims. Other types of liability insurance include liability arising from the business use of automobiles. You need this type of insurance if your business owns automobiles and employees drive them to perform work. It protects you if an employee causes an accident. If your employees use their own cars for work, you need a slightly different type of liability insurance called nonowned auto liability. It covers liability if your employees are in an accident but don't have adequate liability coverage of their own. If you offer your employees a pension plan, you may need fiduciary insurance. Your company has a duty to manage the funds in the pension plan. If you or your plan mangers make mistakes and the fund can't pay the promised pensions, retired employees may sue. This type of insurance covers claims arising from problems with the business's pension plan. Will My Homeowners Insurance Cover Me for Falling on My Property? Will Insurance Cover the Damage If My Car Just Got Flooded? Will Homeowner's Insurance Pay the Medical Bills If You Have an Accident on Your Own Property? How Much Personal Liability Coverage Do I Need on a Homeowner's Insurance Policy?